Reason It Was Shelved: Pharrell and Lupe Fiasco created this 12-person supergroup back in April of 2010 and although the group only dropped one track-a remix to Lupe's "I'm Beamin'" which features Asher Roth, Charles Hamilton, The Cool Kids, Blu, Diggy Simmons, B.o.B, & Dosage, there's still hopes for a full-length album in the future. However, the artists are all signed to different labels and are scattered across the country. 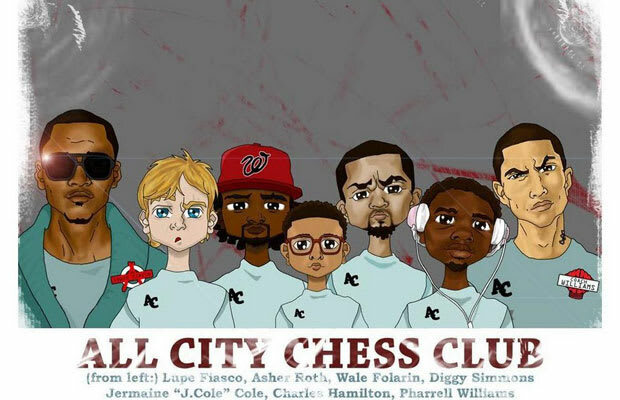 Why We'd Kill To Hear It: The All City Chess Club album is still what every backpacker wants. A 12-person album would be the first of its kind with each member bringing their unique style over a variety of soundscapes. They are almost like the new school version of the Wu-Tang Clan. And that’s enough of a reason for these guys to get back together and cook something new soon.